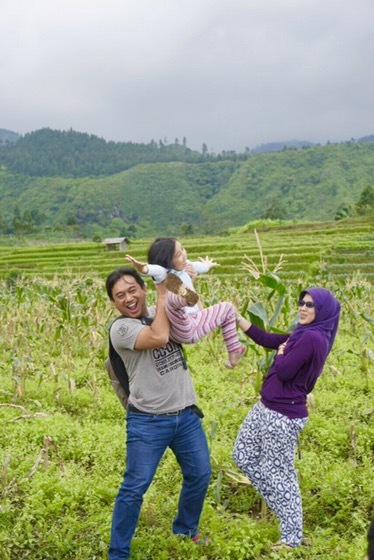 One day near to my hometown, Tegal, we took a pic in a field after having a wonderful vacation with my family and friends. This week’s challenge I present you: jubilant pose. Ping-balik: Jubilant (Watering the Plants) | What's (in) the picture? LOVE this! I’m going to link so my readers can enjoy it too! Oh thank you so much for you lovely comment!! Masha Allah. What a interesting interpretation of the challenge; makes me want to see more of your work as a photographer.